Social Platform is pleased to be able to offer the use of its meeting room. 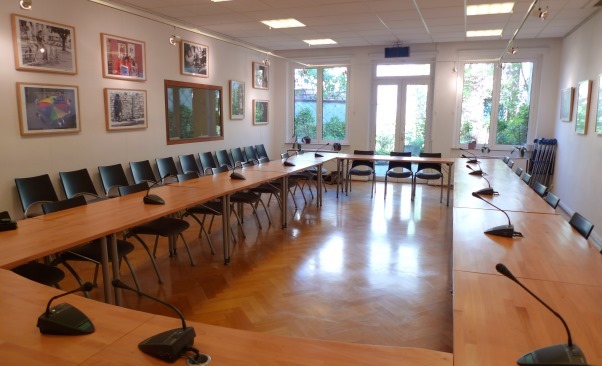 The ground-floor meeting room is situated at Square de Meeûs 18 in Brussels, just two minutes walk from the European Parliament and Place du Luxembourg, in the heart of the EU-district. Please note tables cannot be moved, since they are connected with electric wires. Unfortunately the premises are not accessible for wheelchair users. The following services are not provided, but you can arrange them yourself.